Pls check my previous blog for the Installation and configuration of the NSX 6.1.4 Manager and here we can see the NSX Controllers deployment. 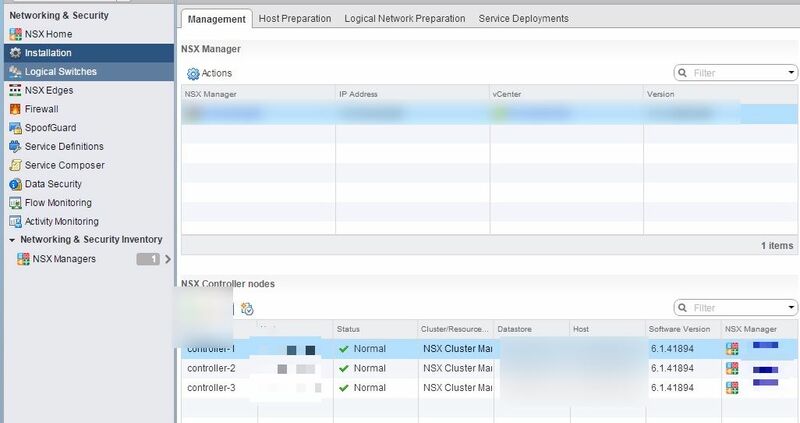 NSX Controllers is deployed using the NSX Manager for managing the control plane activities and it is recommended to have it in odd number so that if one controller down then more nodes can function as a cluster. Click the add button to create a new cluster. NSX Manager – Name or IP of the NSX Manager Server. Datacenter – DC in which NSX Controller placed. 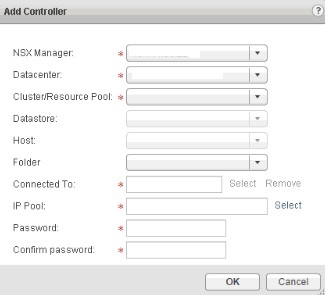 Cluster\Resource Pool – Cluster or resource pool which NSX Controller placed. Datastore – Datastore which NSX Controller installed. Host – Host in which we want to have the NSX Controller or we can leave it blank. Connect To – Port Group which NSX Controller will use to communicate. IP Pool – IP Pools are used for assigning IP address to controllers and VTEPs and it will take the IPs from the pool and release them back when it has been removed. Gateway – Default Gateway for the subnet. Primary / Secoundary DNS – DNS Server but it is not the must one..
DNS Suffix – Suffix name of the domain . 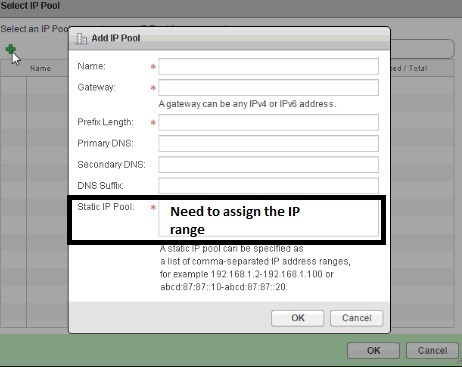 Static IP Pool – List of IP address being assigned to the pool. Password – Admin Password on the controller guest vm. Once done the configuration we will notify the new VM deployed . This entry was posted in NSX 6.1.4, VMware and tagged NSX 6.1.4, NSX Controller, NSX Manager. Bookmark the permalink.